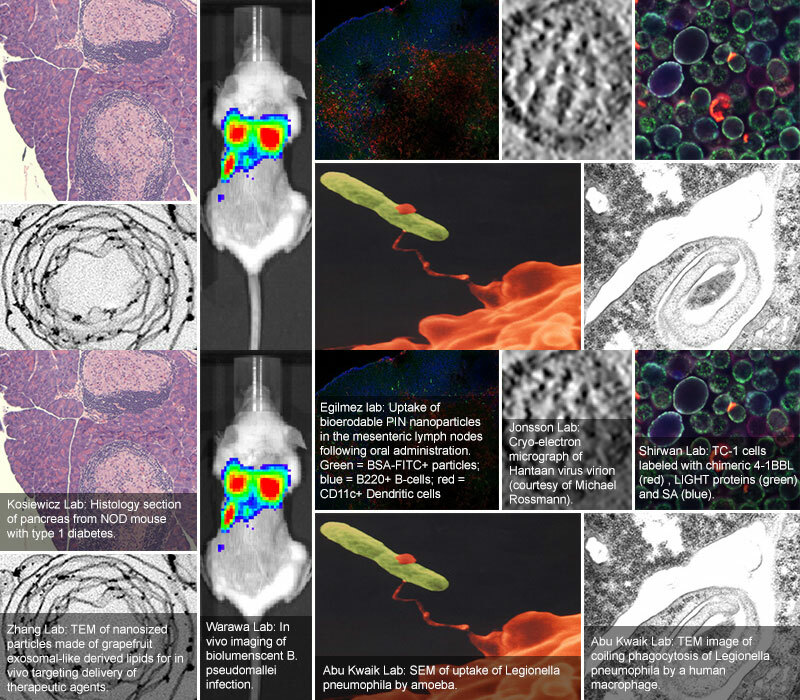 Images taken from department research efforts. The Department has 22 faculty with primary appointments and 33 faculty with joint or associate appointments. Current research interests of the faculty include the regulation of innate and adaptive immune responses, autoimmune disease, bacterial and viral host-pathogen interactions, vaccine development, and cancer immunology/immunotherapy. Faculty, research staff and students have access to a state of the art Biohazard Level 3 facility that houses the Center for Predictive Medicine and Emerging Infectious Diseases. Faculty maintain interdisciplinary collaborations in the integrated research areas of inflammation, cancer, and infectious, autoimmune and cardiovascular diseases with several Centers including the Center for Predictive Medicine, the Institute for Cellular Therapeutics, the James Graham Brown Cancer Center, and the Center for Genetics and Molecular Medicine.